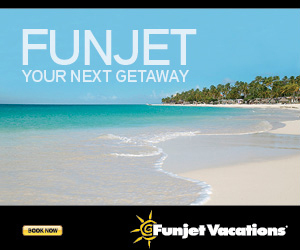 Your trip to La Romana begins with a beautiful drive along the Southeastern Coast next to vast sugar cane fields. Then, you will find the beautiful resorts and beaches of Casa de Campo, Bayahibe and Dominicus, and the Saona and Catalina islands. However, your stay isn't complete without a trip to Altos de Chavón, the recreated medieval European village. The true jewel of La Romana is the number one golf course in the Caribbean -- Teeth of the Dog. The course is not only hailed as the best in the Caribbean, but also among the top 100 in the world. This Pete Dye course is only one of four of his courses in the area, including Dye Fore, The Links, and La Romana Country Club. You can also play a round on La Estancia, which was designed by his son, P. B. Dye. La Romana also has a tourism complex filled with facilities for polo, shooting, and tennis. Only 5 minutes away from the city and airport of La Romana, Casa de Campo invites you to visit its range of art galleries that showcase painters and sculptures from around the country. You can't stay on land the entire time you are in La Romana. Make sure to take advantage of its crystal clear waters for diving. Hotels offer excursions to sites like the Guadalupe underwater museum, which can also be seen by snorkeling above it. The living museum of the Cara Merchant shipwreck is also nearby. This is the ship that once belonged to the legendary Captain Kidd who was sentenced to death after being accused of being a pirate. La Romana has a lot of shopping options. You can visit small shops in town, or visit the largest mall in the entire area. Either way, be sure to check out locally made crafts and distinctive Dominican food. Make sure not to miss: El Artístico (Av. Libertad), Arte por Tamburini, Eduardo's Art Gallery (Calle Francisco del Castillo Márquez), Columbus Plaza, Bibi León Artesanía (Calle Restauración).